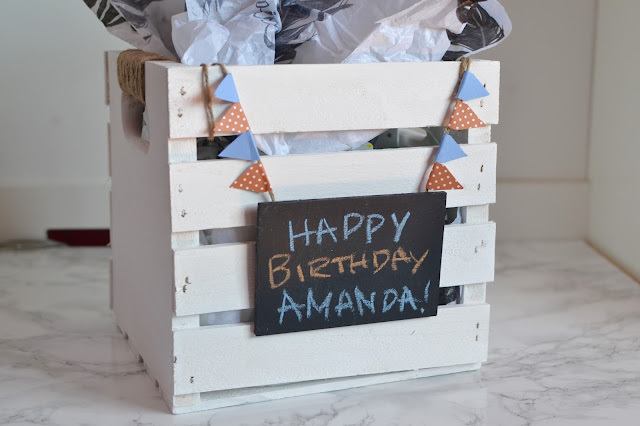 I created this really cute gift crate as a present to one of my best friends and wanted to share with you all how I made it! I think it's a really cool, aesthetically pleasing way of presenting a gift. The great part about it is that the recipient can use it as decor and storage afterward. The gifts we put in the crate were a collaborative effort between myself and two other friends and I think it all added a really personalized twist. Check out the video below for a full tutorial.